The worst rental house cleanout mistakes can easily cost more than wasted time. These missteps can also cost you a whole lot of frustration and possibly invite unnecessary legal trouble. The fact of the matter is, just committing one or more of the most common rental home cleanout mistakes will provide you with a lesson you’ll never forget. So, you should welcome learning what to avoid to stay away from trouble. Hire a Rental House Clean Out Service or DIY? It’s a real conundrum. Should you hire a rental house cleanout service or do it yourself? Well, it really depends on the extent of the job. In more cases than not, it’s better to have a rental home cleanout service do the work. This way, you aren’t burdened by the hassle or have to commit the time and effort. Throwing the last tenant’s personal possessions out. Don’t do this. Not ever. It’s merely an invitation to a whole bunch of headache and unwanted trouble. Store it away and make good faith attempts at contacting your former tenant. 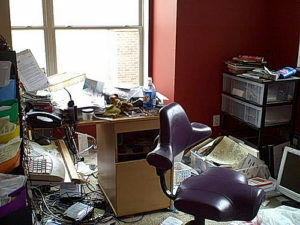 When you need a rental house clean out done, phone 800-433-1094 or visit Junk Garbage Removal.